Search our latin websites within products currently online. Search by color, sizes, dress code or fantasy name. ​Designs to Shine's Latin dancewear is constructed in a very similar manor to our Smooth and International Standard gowns. Every Latin dress is hand constructed and completely unique. 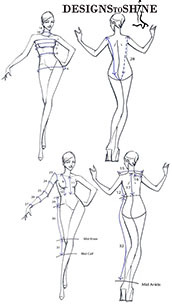 One of the many things that make Designs to Shine’s ballroom dancewear the best in the dance world is the incredible attention to detail. This is especially evident in the amazing embellishment of each dress. We use an astonishing variety of elements including feathers, sequins, fringe, lace and most importantly rhinestones. On average each Designs to Shine dress is embellished with over 10,000 rhinestones, one at a time. Even more amazing is our rhinestone adhesive which was formulized exclusively for Designs to Shine. Although every dress looks like a delicate work of art, they are extremely durable and made to withstand extreme dancing. For FINANCING and complete dress details please use our contact form. Click or tap product for large view. Male and Female measurement forms. or open and save the forms for later use. In addition we also design fabulous specialty wear, exiting costumes for Ice Skating, Entertainment Productions, and many other types of events.